A Tabla is a pair of small drums that have been fundamental to Hindustani music of northern India, Pakistan, and Bangladesh since the 18th century. Much like the musical sounds and instruments used in traditional Indian music, the foods found in those regions have become fundamental in shaping cuisine all over the world. Tabla the restaurant is a place where visual creations for the palate will entice the eyes and enliven your senses. The menu features a symphony of Indian, Chinese and Thai flavors and spices with classic dishes and new twists on old favorites. That's what makes tabla so unique. You can find Thai green curry and basil fried rice for a taste of Thailand, or fresh from the tandoor kababs, chicken tikka, and garlic naan for a taste of India and classics like general tso’s chicken with a side of crab rangoon for your Chinese food cravings. For something really tasty, the Indo-Chinese fusion dishes like the cauliflower Manchurian and lemon coriander soup are pretty exciting as well, as are the artistic versions of classics like mango tiramisu and gulab jamun brulee. Tabla’s chef, Ian Piamonte is a culinary artist known for his original and inventive food presentations, which he attributes to his traditional training and inspiration from his Asian heritage. He joined the Tabla Culinary team after serving as the Banquet Chef at The Ritz-Carlton, Amelia Island. The Guava Drink on the left is a cocktail that is not only good for your digestive system, but also compliments dishes that are hot and sour. The Mango Lassi pictured right is a popular and traditional yogurt based drink that is thick like a milkshake and quite flavorful. The Papadum at Tabla is thin lentil wafers roasted in a tandoor oven served with a spicy sauce and a sweet sauce. Unique to Tabla, instead of being traditional thin round crisps. they roll the papadum up like an ice cream cone. 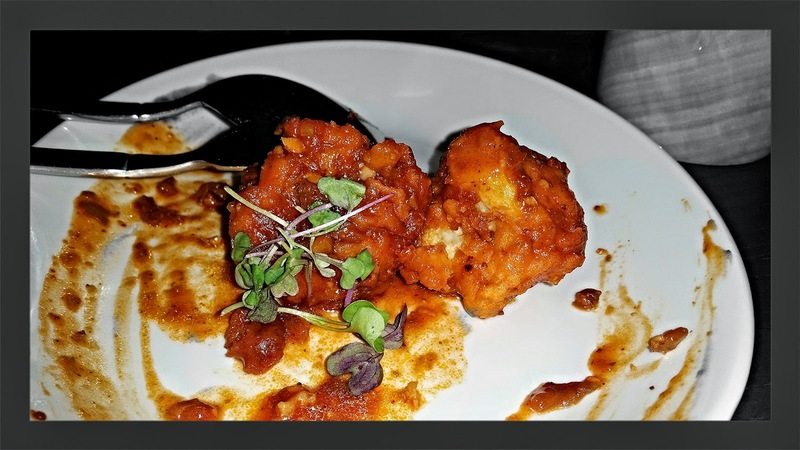 Gobi Manchurian is crispy cauliflower fritters fried up in a sweet, spicy and tangy sauce. Gobi cooked various ways is a traditional Indian food, but Gobi Manchurian is Indo-Chinese, and these tasted incredibly good. Honey Chicken with dried chili is a classic Chinese dish made with honey glazed chicken tossed with chili and spring onions. This was pretty tasty as well, and I had to stop myself from eating the whole thing. Although Crab Rangoon may seem basic, you can rest assured that Tabla’s crispy wontons with crab meat and cream cheese are far from your standard Chinese take out. The Mixed Kabab platter features a variety of Seekh Kabab, Chicken Tikka, Hara Murgh and Malai Methi Kababs. These kabobs were loaded with flavor and lots of heat, but it was the kind of heat that makes you come back for more. Lemon and Coriander Broth was full of fragrant lemongrass, piquant chillies, and sliced mushrooms. 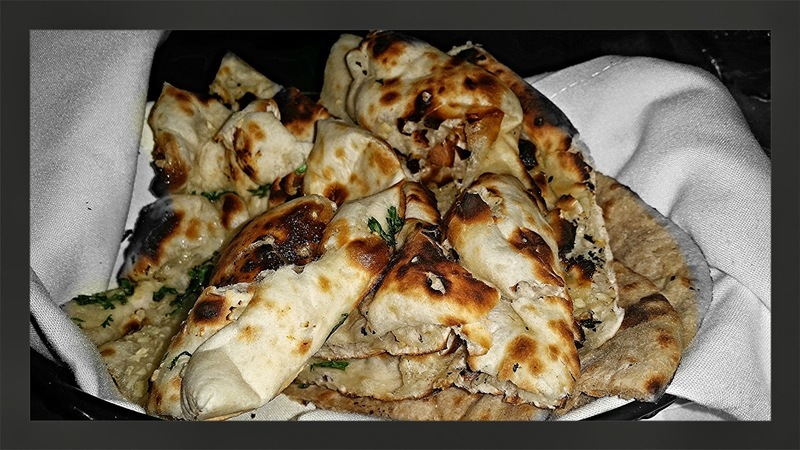 Naan is a staple of Indian cuisine and can be found at almost every Indian restaurant you visit. The naan at Tabla is served with Garlic Cilantro, Green Chili, Chili Cheese, Cream Cheese and Mint spreads, but naan is also great to dip in a variety of things...like Tikka Masala with spiced tomato and coriander sauce with bell peppers and onion. Pictured above is a collection of Indian, Chinese and Thai dishes that are great over rice, for dipping, with meats, or by themselves. Top left: General Tso’s Chicken, Top right: Green Curry, Center: Palak, Bottom right: Tikka Masala, Bottom left: Dal Makahani. Indian dessert is certainly different if you are not accustomed to it, but don't let that keep you away. Cassata is a layered ice cream that is similar to Neapolitan ice cream, with three flavors.. usually pistachio, vanilla and strawberry on a base of sponge cake and topped with chopped nuts. This was a very light and refreshing dessert. Gulab Jamun is a milk solids based dessert made from milk solids from freshly curdled milk. In India, milk solids are prepared by heating milk over a low flame for a long time until most of the water content has evaporated. The milk solids, known as khoya, are kneaded into a dough with a pinch of flour, and then shaped into small balls and deep fried at a low temperature. Afterwards they are soaked in a light sugary syrup flavored with green cardamom and rose water. Tabla’s version is a Gulab Jamun Brulee. As weird as this sounds, it was quite tasty. 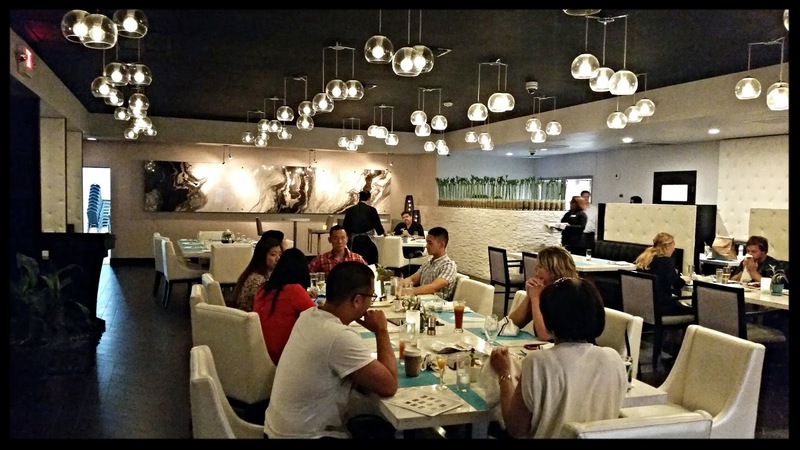 Tabla has done an awesome job of taking traditional recipes and enhancing them with a modern approach and bringing the taste of Indian, Thai, and Chinese together all in one place. I have always enjoyed the unique sounds of the Tabla, the musical instrument, and I know I am going to be enjoying Tabla the restaurant just as much. American Gymkhana is the all new modern Indian restaurant and lounge on Orlando’s famed "Restaurant Row" in the Dr.Phillips neighborhood. Occupying nearly 8,000-square-feet, American Gymkhana seats approximately 190 guests in various spaces. Those spaces include the main dining room, Mahajara Room (private dining room), Hunter’s Cocktail Lounge and the Veranda, that pays homage to a similar lounge found in a traditional gymkhana where royalty would sit and watch outdoor sporting matches. 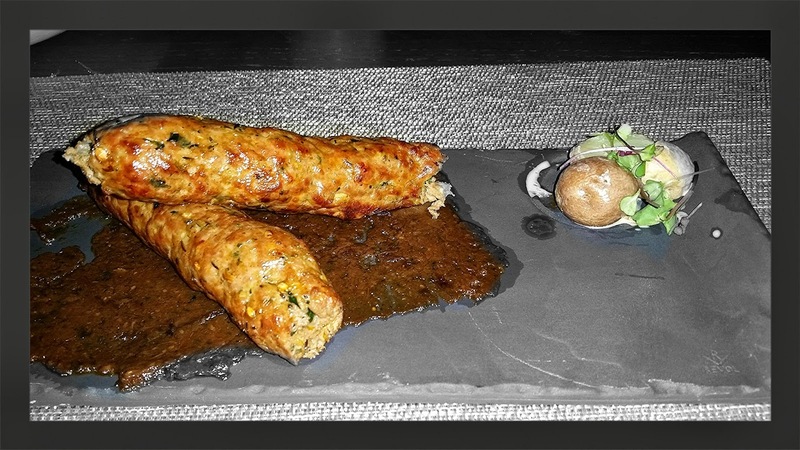 The restaurant specializes in modern Indian cuisine and is the brain child of Rajesh Bhardwaj, the restaurateur behind New York’s Michelin-starred Indian concept Junoon. American Gymkhana (pronounced “jim-kah-nuh”) is inspired by a traditional gymkhana - a place of assembly for the elite during the British Raj period in India that lasted from 1858 to 1947. Raj Cuisine can best be described as a mixture of Indian and British foods, or Anglo-Indian food. 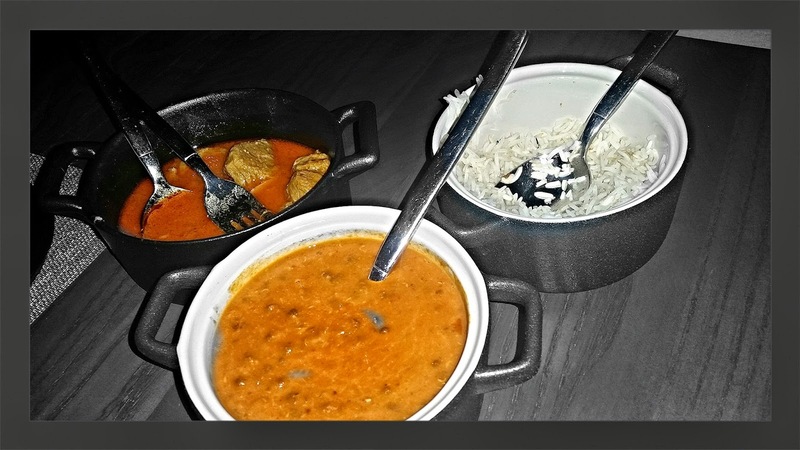 Most dishes combine the cooking styles of Indian Khansamas or cooks who took aspects of British cuisine and combined them with Indian methods of cooking. There are soups tempered with cumin and red chillies, roasts cooked in whole spices like cloves, pepper and cinnamon, rissoles and croquettes flavored with turmeric and garam masala. The kitchen at American Gymkhana is led by a Mumbai native and New York transplant, Chef Aarthi Sampath. Chef Aarthi uses imported spices sourced from Indian markets as well as locally sourced ingredients from Florida, to create a balance of traditional and modern cuisine. Starters include dishes such as Gymkhana Chaat a mixture of iconic street food snacks that includes a sampler of samosa, matar tikki and dahi vada. More modern takes on Indian dishes include Galoti Lamb Sliders with spiced yogurt, stuffed lamb and saffron bread. Also available to start are a selection of seven “Skewers” with options ranging from Dahi Kebab, a yogurt and cheese croquette with mango-apricot chutney and Kela Corn Seekh with plantain, corn kaffir lime and sweet pepper coulis to Kadak Seekh with minced lamb, cheddar and tempura batter. 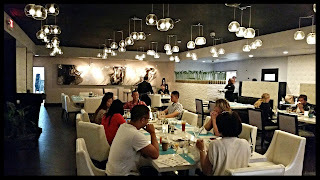 Main dishes are broken up by Fish, Shellfish, Meat, Game, Poultry, and Vegetarian selections. A standout signature is the Angrezi Chicken with roasted tomato, homemade butter and garam masala. The term Angrezi, which is Hindi for the word British, offers a proper representation of the blending of British and Indian cultures from the time period. Other Mains include Meen Moilee which is a crisped seasonal fish with coconut milk, fresh turmeric, lemongrass and curry leaves. The Lamb Vindaloo is a staple of Raj cuisine that combines apple cider vinegar, black pepper, goan chilies and twice fried potatoes. Since India is also famous for its robust vegetarian diet, American Gymkhana offers a healthy selection of six options that range from Kofta Hariyali that are cheese fritters with methi, spinach and green peas to Market Vegetable Korma with coconut, cashew and ginger. 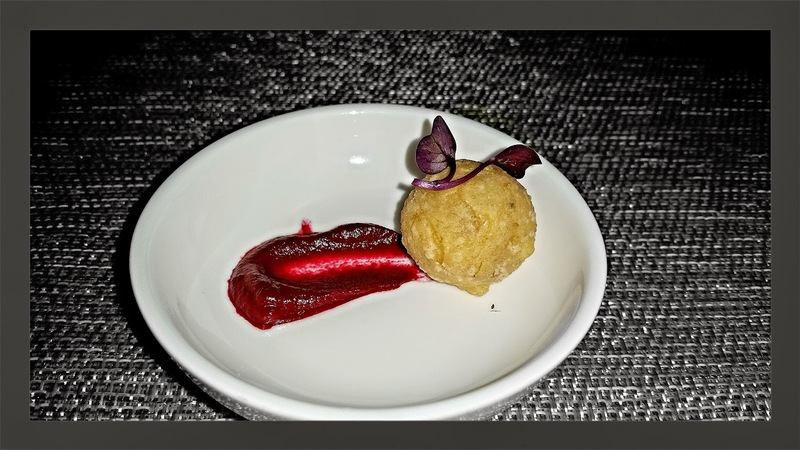 We began our evening with an amuse bouche of Dahi Vada that was designed to get the palate ready for all of the exceptional flavors of the Raj Cuisine. The Lamb Seekh, or Lamb Skewers, can be ordered as a meal, or to share among friends. The lamb is mixed with a variety of spices and seasonings that give them a tender and mildly spicy flavor. Adraki Gobhi is the best cauliflower dish I have ever had in my life. I mean it. This is a cauliflower fritter fried with ginger, galanga, red chili powder,cumin, turmeric... and a lot more. I could eat this everyday. For breads I sampled the Garlic Naan and the Roti. Both were delicious. Roti is an unleavened bread as Naan is a yeast leavened bread. 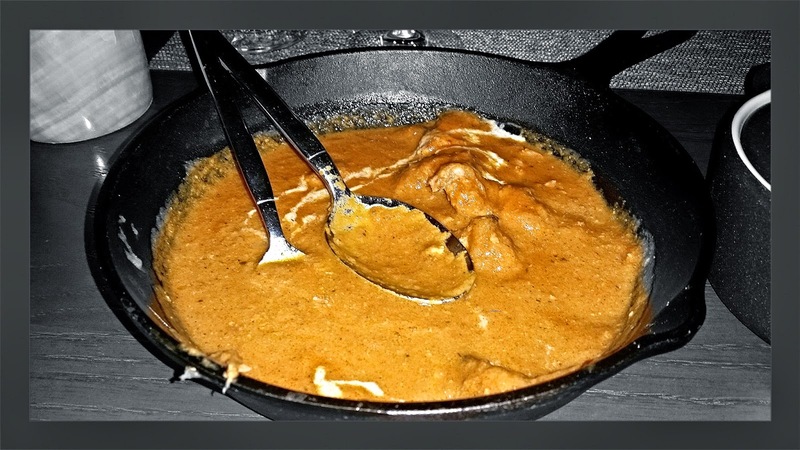 The Angrezi Chicken is peices of chicken in a roasted roma tomato coulis with a whipped garam masala butter sauce. Its not overly spicy and overall immensely smooth and flavorful. Goat Roganjosh is goat shank braised in a Kashmiri chili and clarified butter sauce. The goat had a very mild flavor, but watch out for that chili sauce as it puts a zing on your tongue. A Warm Chocolate Financier is a perfect way to end your evening. 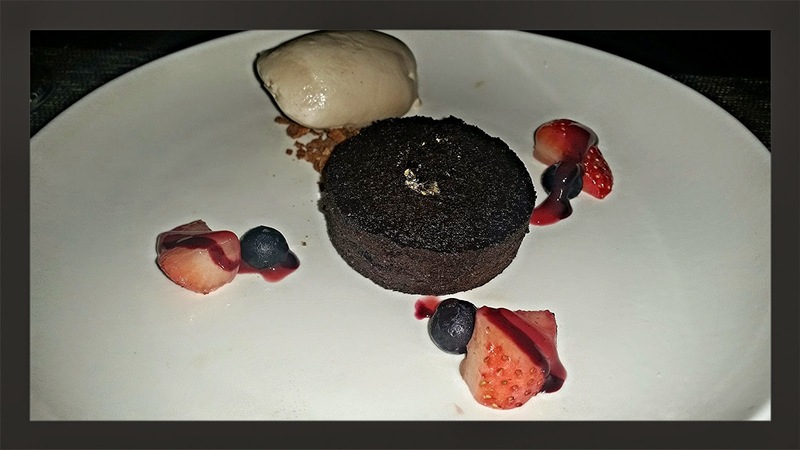 A light and moist cake, but very rich, served with chai ice cream, almond feuilletine and macerated berries. 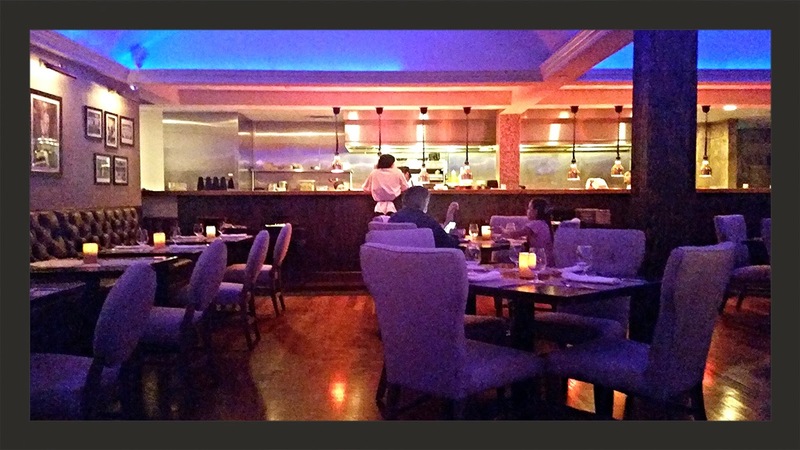 American Gymkhana is doing a great job of bringing high quality Raj period Indian Cuisine to Orlando. Chef Aarthi Sampath coveys her Mumbai roots and diverse culinary training in an approachable way. All of the food that I sampled on two visits was delicious. 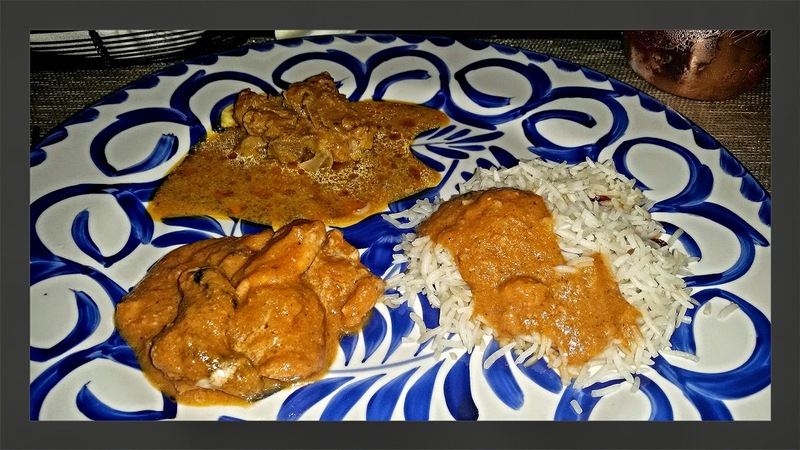 You can tell that Chef Aarthi knows her way around Indian spices and cooking. The dishes at American Gymkhana are very flavorful and a lot of them are spicy, but they are not spiced without purpose. In addition to wonderful food, the restaurant is also dedicated to its beverage program that is helmed by celebrated mixologist, Hemant Pathak. Hemant has been featured in GQ Magazine and ELLE Magazine and is a world class bartender. While infused Indian liquors, spices and homemade syrups will honor the season by continuously changing, the bar will always be ready with robust flavored libations of 12 signature and classic cocktails, and an additional selection of mocktails that are made with juices that are extracted fresh daily. 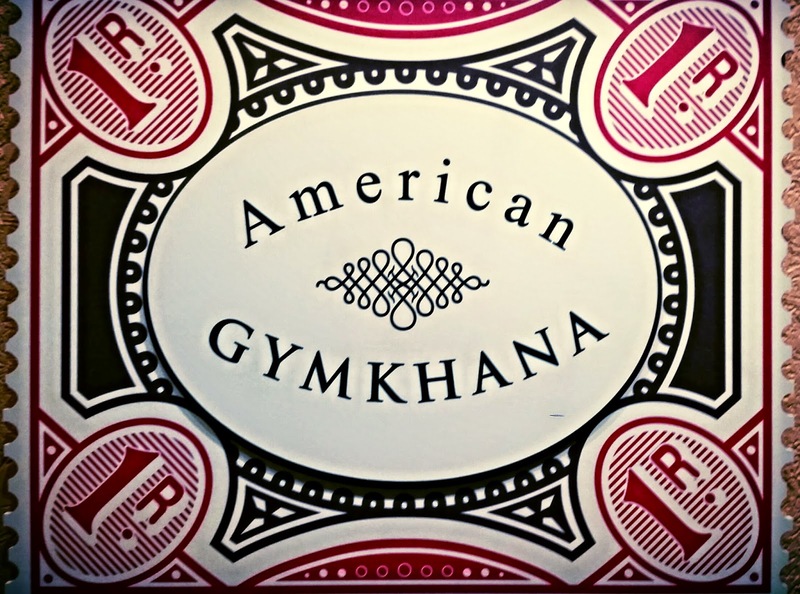 American Gymkhana is open Sunday through Thursday 5 to 10 p.m. and Friday and Saturday until 10:30 p.m. The cocktail lounge will stay open until 2 a.m., Thursday through Saturday.